This plaque was created at the request of a member of the CT Dept. 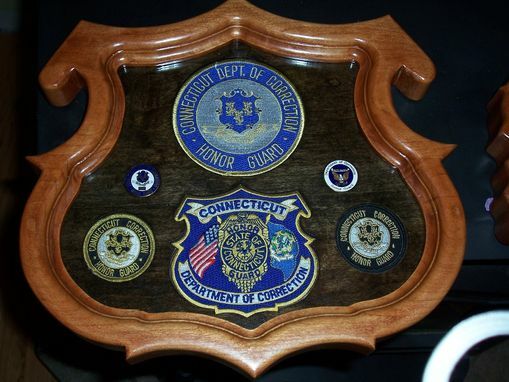 of Correction's Honor Guard. It's intent was to proudly display the patches and uniform pins associated with this unit. 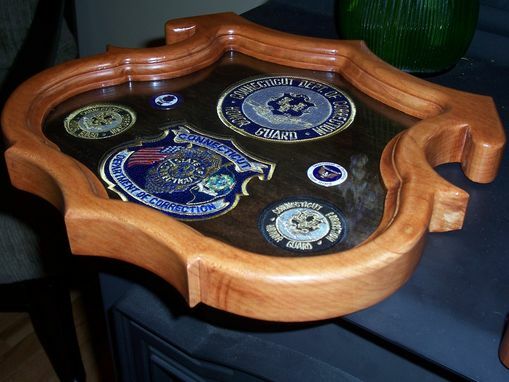 The plaque itself is made from cherry and it's shape is derived from the current Honor Guard patch. Each patch and pin is recessed within the backing to create the clean, smooth surface for the facing glass.